Hollow point bullets have been used for defense purposes and hunting since their inception. These bullets expand rapidly upon impact, guaranteeing the most damage possible without over-penetrating. One of the most common types of hollow point for sale today is the copper-plated hollow point, or CPHP. CPHP is a popular bullet type among backyard shooters, pros and reloaders because of its versatility (you can use it for hunting, home defense, plinking and more). Among hollow point ammunition, CPHP is usually the most affordable, with a relatively simple manufacturing process that gives the budget-minded shooter the stopping power of hollow point ammo without the impact on their wallet. As the name implies, the bullets themselves are copper-plated hollow points – a popular composition over lead because it has the weight of lead combined with the smooth, non-corroding copper plating. 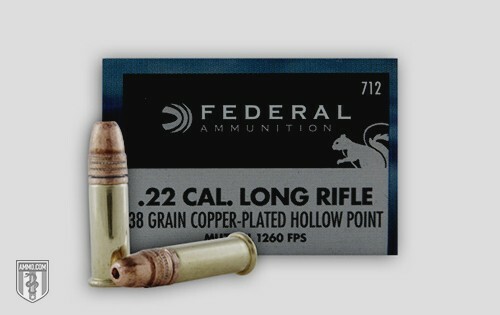 The casing is typically center-primed brass or steel, with the main exception being .22 LR ammo, which is rimfire. CCI makes one of the most popular CPHP cartridges, sold as the Stinger. Due to the bullet being coated in copper, you can often use CPHP ammo on shooting ranges both indoor and out, and in hunting areas where straight lead is prohibited. It’s unfair to judge a bullet type alone without considering all the factors. There are many manufacturers of CPHP ammo, including Winchester and Federal Premium, along with a handful of others that are lesser known. The most obvious improvement over lead round nose bullets is an opening at the end that allows for the opening of the bullet. This imparts more of the bullet's energy into the target, resulting in quicker stops or cleaner kills. The copper jacket is an improvement over lead hollow points in that it decreases fragmentation. This helps with penetration, as a heavier bullet will retain energy and velocity better than a lighter one. This way, the bullet will penetrate deeper and hit harder. Hollow point bullets were initially developed to give normal rounds extra stopping power, while hopefully limiting penetration to just their target and nothing beyond. Do they do this? Sometimes. You can’t guarantee 100% consistency when hitting an organic target like a home invader, armed mugger or other person aiming to cause you harm. They cause a larger-than-average wound cavity, as the bullet expands like a flower petal or mushroom on the way into a target. Usually this will keep the bullet confined to your target, but remember, firing a few shots at the range to really get to know your ammo and how it performs is important when using it as a concealed carry or home defense ammo. The CPHP is a suitable bullet design for all but the largest game. The rapid expansion will greatly increase your chances of a quick, humane kill – which is why many hunters choose this design in a .22 caliber for hunting varmints and predators alike. Whether you need an effective cartridge for stopping intruders or vermin, the CPHP is a great bullet that will serve you well.